Get inspired with 12 amazing outdoor privacy screen ideas! 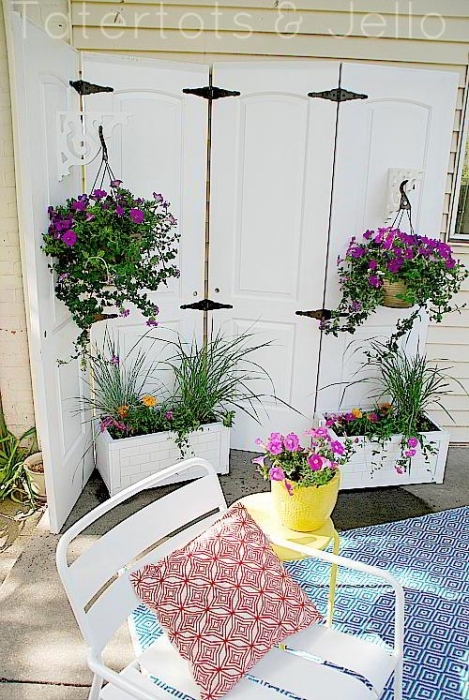 Add privacy to your patio, backyard or deck with these DIY or professional ideas. 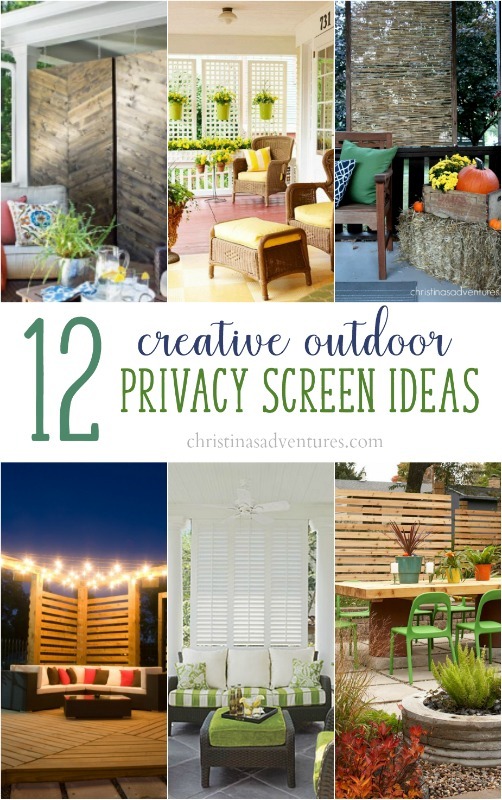 Click “next” to scroll through these amazing outdoor privacy screen ideas. If you like this post, share with others and save for later by pinning here! 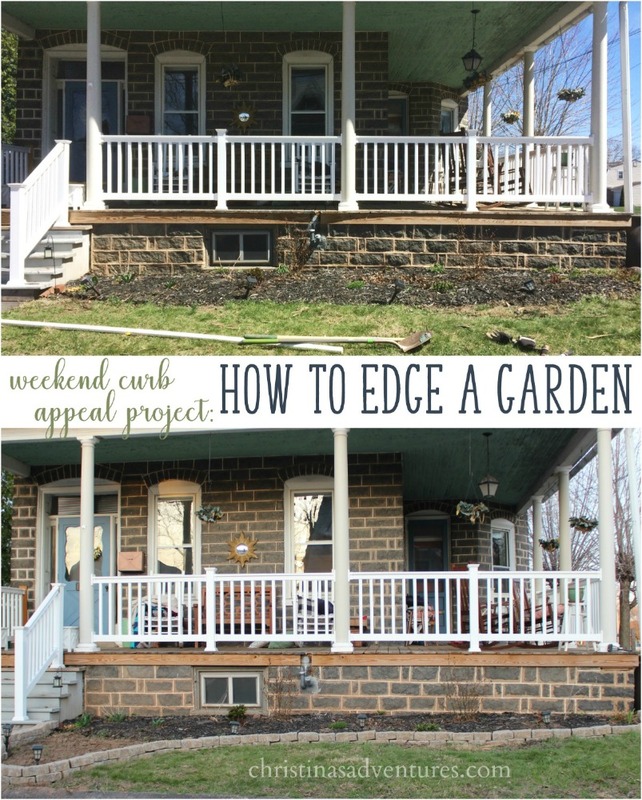 We’re going to be putting in a LOT of time fixing up the exterior of our fixer upper in the next few months and years. Make sure you’re following along on Facebook for all of my outdoor decorating inspiration, and on Instagram for all of my behind the scenes looks at how we accomplish all of our outdoor design decisions. And don’t forget to subscribe to my newsletter for insider tips and tricks! Such great ideas – very beautiful! I honestly love the look of all of these privacy screen! I especially love the use of the planters in the screen to make it look really nice. For quite some time, my husband has been wanting to put up a privacy screen in our backyard. Since he loves incorporating plants into all of his designs, I might show him this design to see if he likes the idea. Thank you for sharing all these great ideas! My husband and I have a small outdoor area and we would love to make it more private. We didn’t think about getting privacy screens! The shutters would be really fun! I like the idea of being able to close and open them when we wanted as well! Thank you for all the great ideas!